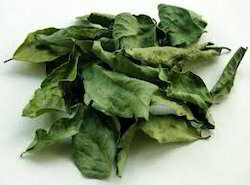 With immense market knowledge, we have been able to provide optimum quality Curry Dried Leaves . Curry leaves, known as kadi patta in hindi, is one of the common seasoning ingredients that is added to almost every dish to enhance its taste and flavour. Owing to the efforts of our dedicated team of professionals, we have been constantly engaged in offering the best quality Dried Curry Leaves . We are known as the most reputed firm of Dehydrated Curry Leaves. - Used in chutney, sambar, rasam and veggies, etc. Owing to our experience in the industry for years, we strive to deliver nothing short of perfection. 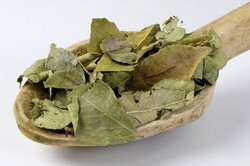 Continuing in the same vein, we, as a Manufacturer, Supplier and Exporter, offer Dried Curry Leaves.